Needless to say, I’m so excited to dress for the new fall season. I feel like my personal style really gets to shine now. As much fun as it was to be in floaty spring/summer dresses, I can start playing with more textures, layers, patterns now. Not to mention, the native New Yorker in me loves the darker hues and edginess that comes with the season. 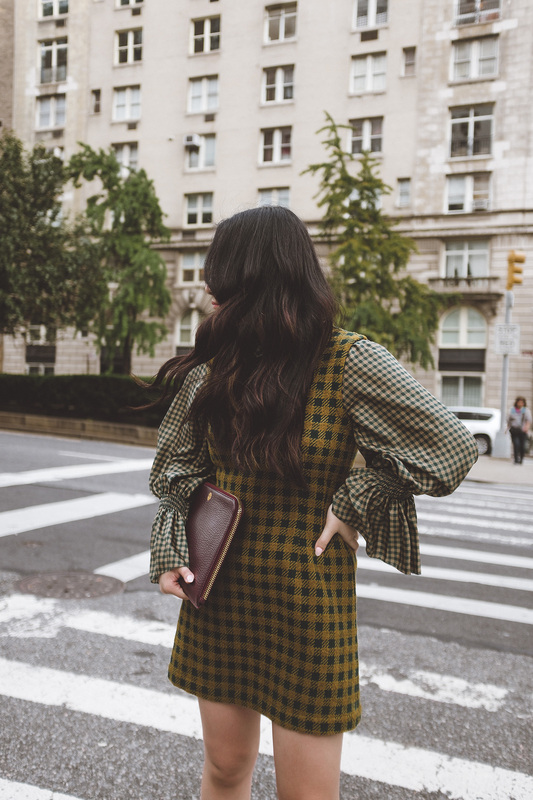 Today, I want to talk about five of my favorite trends that I’ve been seeing and am shopping for. As you can see in these photos, I’ve already bought into the trend. The pattern is pretty versatile and comes in so many colors, styles, sizes. There’s a version out there for everyone. 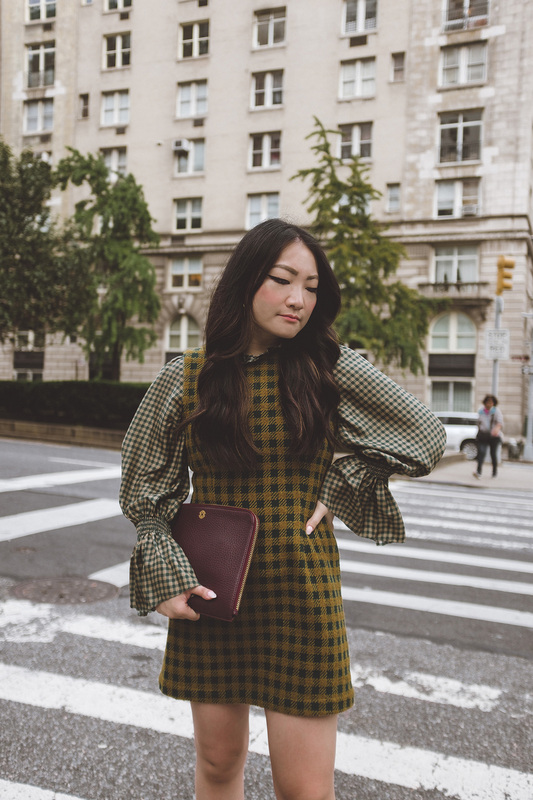 Right now, I am loving the unexpected ways to do plaid beyond the classic prints and silhouettes. 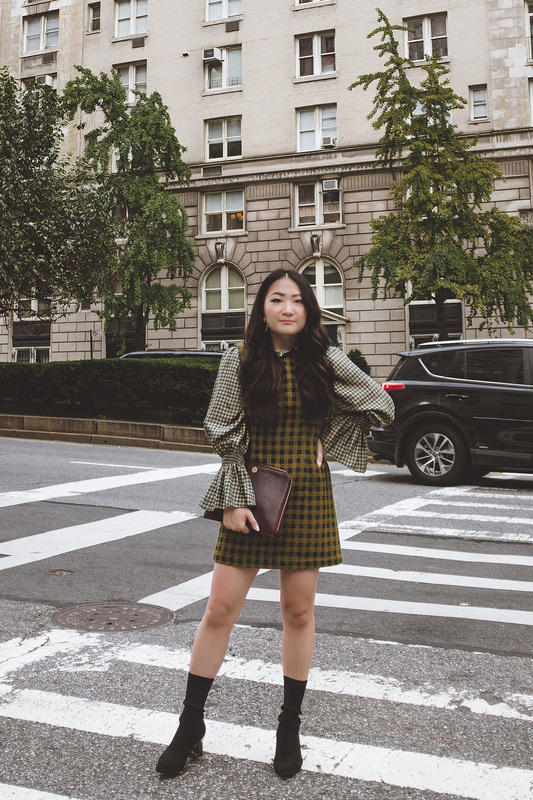 I’m pretty obsessed with the combo of tweed and silk textures in the mixed plaid dress worn in this post. 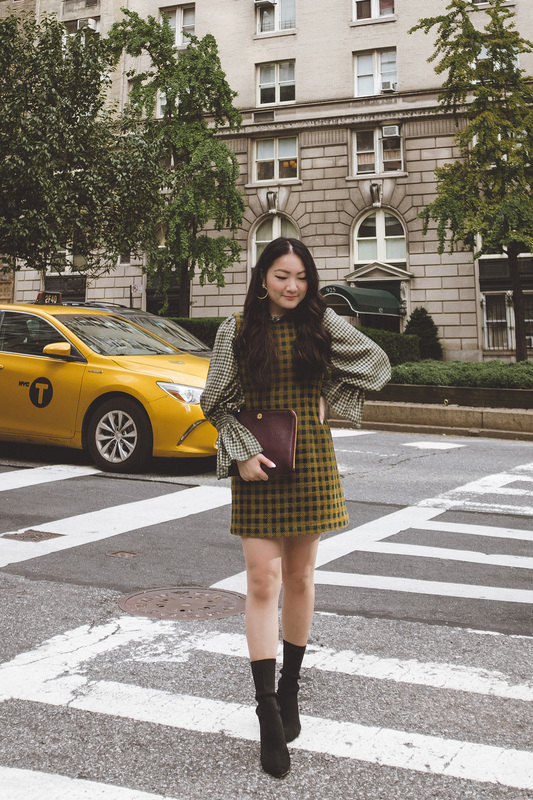 Similar to plaid it comes back every season (ie leopard is a classic), but this time, there’s an influx of less seen prints like python and zebra on pieces besides accessories. You may have already seen a lot of snakeskin dresses and leopard skirts out in the market already. If there is ever a time to try something daring and fierce, it’s right now. The new oxblood. I wore this jumper last winter and the color is coming back strong. Wearing this color, you can imagine the leaves changing and pumpkin patches everywhere. Besides looking like a walking PSL, rust is actually such a nice pop of color you need when the skies get gray. It’s a really rich hue and will evoke autumnal vibes. Not talking about your grandma’s quilts here, hehe. The most fashion-forward of the five, I started to see this trend pop up over the end of summer and I think it’s also the most playful. The mixing and splicing of different patterns is so interesting visually, and if you are brave enough to put it on — so so fun. I loved wearing this at the end of the summer (HERE), and will be putting a much bolder one soon. I feel like blazers are replacing the leather jacket this year. It feels like the year of the power suit. Not only that, but blazer/tux dresses are seriously making the rounds. I love that classic plaid topper that will elevate a t-shirt and jeans combo. Try a colored matching pant suit or belting your blazer look. So, those are some of my favorite trend this fall that I’m keen on trying out. Keep an eye out on my Instagram and YouTube to see them in action.